In this paper, influence of temperature and reverse bias on photocurrent spectrum and spectral response of a monolithic GaInP/GaAs double-junction solar cell was investigated in detail. Two sharp spectral response offsets, corresponding to the bandedge photo absorption of the bottom GaAs and the top GaInP subcells, respectively, show the starting response points of individual subcells. More interestingly, the cell photocurrent was found to enhance significantly with increasing the temperature. In addition, the cell photocurrent also increases obviously as the reverse bias voltage increases. The integrated photocurrent intensity of the top GaInP subcell was particularly addressed. A theoretical model was proposed to simulate the reverse bias dependence of the integrated photocurrent of the GaInP subcell at different temperatures. Zhuo Deng obtained his B.Sc. and Ph.D. degrees in the Department of Physics from the University of Hong Kong in 2010 and 2015, respectively. After finishing his Ph. D. study, he worked as a research assistant at the Laser Spectroscopy Laboratory of the University of Hong Kong. His research interests include the luminescence properties and transport processes of charge carriers in novel optoelectronic materials and structures, in particular the III-V alloy compound photovoltaic devices. He is currently working as a research engineer at GP Electronics (HK) Ltd.
Jiqiang Ning received his B.S. degree in 2000 and M.E. degree in 2003, both from The University of Science and Technology of China, and Ph.D. degree from The University of Hong Kong in 2008. His research interests include spectroscopic techniques and optical/electronic characterization of semiconductor materials and devices. He is a winner of the “Hundred Talents Program A” (2015) of the Chinese Academy of Sciences (CAS), and now works as a professor at Suzhou Institute of Nano-Tech and Nano-Bionics, CAS. Rongxin Wang earned her Ph.D. degree in Physics Department from The University of Hong Kong in 2005. Then she worked in The Hong Kong Polytechnic University as Postdoctoral Research Fellow. Currently she holds a professorship in Suzhou Institute of Nano-Tech and Nano-Bionics, Chinese Academy of Sciences. She has been published more than 30 SCI papers in peer-reviewed international journals such as Applied Physics Letters, Nanotechnology, Journal of Applied Physics, Solar Energy Materials and Solar Cells, and J. Micromech. Microeng. etc. Her research interest and approach are related to novel wide band gap semiconductor devices and nano-structures for practical applications. 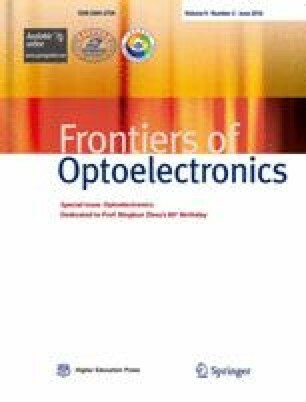 Prof. Wang’s outstanding works and important contributions include the invention of TiNi thin-film shape memory alloy based microtweezers by utilizing the residual stress in the thin films as the “external” force load for device training and operation, systematic investigation of the preparation, optoelectrical properties, modeling, and practical applications of transparent conductive ITO and GZO thin films, innovative applications of GaN Schottky contacts to probe of the deep level centers in GaN epilayers, and the innovation of a new type of bias-voltage dependent deep ultraviolet photodetectors based on GaOx + ZnO nanocrystal mixture phase thin films. She was invited to write two book chapters, and also has documented and applied for several international (USA) and national (China) innovative patents. Zhicheng Su is now pursuing his Ph.D. degree in Department of Physics, The University of Hong Kong. He received his B.S. degree in physics from Beijing Normal University in 2009. His current research interests include photovoltaic device physics, luminescent materials and carrier localization and dynamics. Shijie Xu is a renowned expert of semiconductor optoelectronic physics and devices, and is currently a professor of physics at the University of Hong Kong. He received his B.Sc degree in electronic engineering from Hebei Institute of Technology in 1984, M.Sc. and Ph.D degrees in electronic engineering from Xi’an Jiaotong University in 1989 and 1993, respectively. He has made outstanding contributions to the state-of-the-art understanding of the fundamental optical properties of modern semiconductors and their heterostructures, especially luminescence mechanisms of these technologically important semiconductors. His achievements are highlighted by the innovative demonstration of a quantum-dots-based infrared photodetector, the discovery of metastable optically active defects in gallium nitride (GaN) epilayers, the relationship between stress and luminescence peak in GaN thin-film epilayers, the first demonstration of LO phonon assisted Fano interference of bound excitons in semiconductors and the establishment of a generalized phenomenological luminescence model for localized-state ensemble. These impressive achievements have been reflected in significant research outputs where Prof. Xu has authored >140 peer-reviewed publications in prestigious international journals with a h-index of 31 and has more than 4211 citations (Google Scholar). Zheng Xing obtained his Master’s degree in State Key Laboratory of High Power Semiconductor Laser from Changchun University of Science and Technology in 2008. Then he joined the Nano Fabrication Facility, Suzhou Institute of Nano-Tech and Nano-Bionics, Chinese Academy of Sciences. His main research interest and approach are related to the applications of thin film materials in semiconductor devices and nano-structures.